That title doesn’t make a lot of sense. Or, it does make some sense and that last word denotes something that shouldn’t be said in polite company. What I’m really saying is that I’ve connected with a running coach. Mary-Katherine (MK) Flemming, an RRCA-certified running coach, reached out to me after my last blog post. She’s a mom who trains moms. Other than being a humanoid-type creature with two arms, two legs, and a head, I may not be her standard client/athlete. I’m not sure who/what I had in mind for a running coach but I probably wasn’t thinking about joining a mom-related sort of organization. Call me a backward chauvinist caveman—but what can I say?—my brain just wasn’t tuned in that direction. I’m very glad I kept an open mind though. We talked and I was very pleased and impressed with what she had to say. I respected and admired her intense curiosity about running, management of planning, strength training, rest & recovery, and how to coach dedicated runners who also live normal lives. MK, like me, has been through various setbacks to her running career yet she persevered. I was excited to see someone who shares my passion about physical activity and performance. You can read about Mary-Katherine’s background and credentials here. How does one incorporate both road and trail running when training for trail races? How does one manage biking, hiking, and weight training while running? I’d read Steve Magness’ Science of Running and I wanted to talk with a coach who was familiar with those methods. She follows his work and spoke on his methods..
Heart-rate training is a cornerstone of MK’s training plan. You can read about her approach here and you can hear her discuss heart-rate training here. Her training approach is influenced heavily by Coach Phil Maffetone. The essence of the strategy is that by spending a lot of time training at a fairly low heart rate (determined by this formula), you train your engine to burn fat for fuel and you build a significant and broad aerobic base. A strong aerobic base then allows for trainees to better develop anaerobic power and speed, avoid injury, and ultimately race their best. I’m about a week into the plan and I feel good. If I hadn’t had the experiences that I have, then I would say I’m surprised at how easy the runs have been thus far. It seems that a lot of us runners need to ease down a little, run a bit slower and rest more. MK discusses this interesting and very common phenomenon in this podcast interview. I’ve seen similar challenges with some of my clients. For some of us, sweating and picking up heavy things is fun and we love it. We plan our day around or workouts. Or weekends feature extra long bouts of exertion. Even our vacations are built around strenuous activity which we enjoy. But rest? That’s a tough one. We think that if we don’t lift/run/ride/swim enough then we’ll get weak and fat. The truth is that we CANNOT get stronger/faster/better if we don’t rest enough and recovery adequately. This is one huge reason to employ a coach. You may think you can do it on your own, but very often professional help is absolutely a great investment. To learn more about employing a coach, check out the training programs of the Train Like A Mother Club. 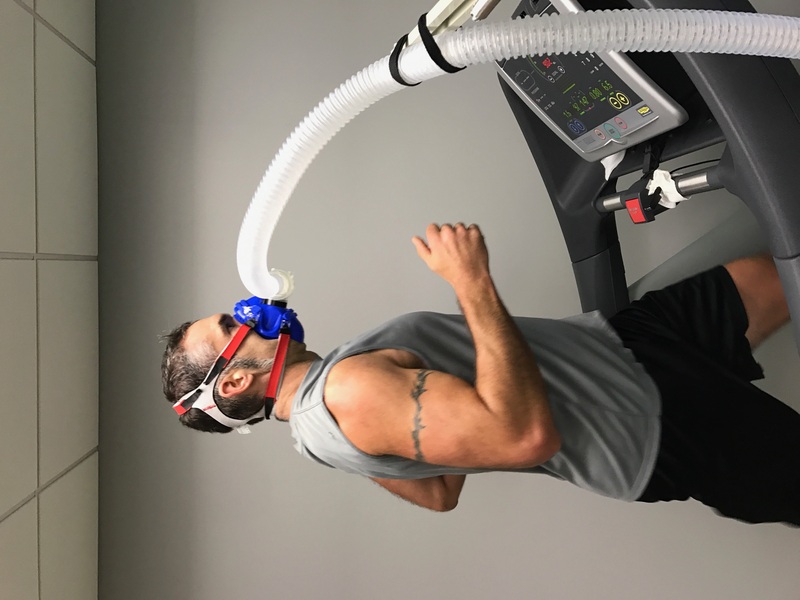 “Everyone thinks the marathon is the Holy Grail, when a lot of people should really be doing the 5K,” Jason Karp, exercise physiologist. In the running world, many of us want to progress from the 5k to the 10k, half-marathon all the way to the marathon—and maybe beyond! More is always better, right? We think 5ks are for beginners and marathons are for the truly fit and powerful among us. And ultra-marathons? Those are for the real champions. The 5K, Not The Marathon, Is The Ideal Race argues that for most people and most fitness goals, the 5k is the optimal distance. In terms of fitness, exercise and strength training, I believe there is very little new under the sun. Lift heavy things. Sweat often. Eat right most of the time. Rest, recover, repeat. Those are the big-picture concepts that have built healthy humans since forever. That said, if someone wants to make money in the fitness business, presenting this picture in new packaging is a wise idea. Further, if some sort of new fitness trend grabs someone’s attention then all the better. I believe that anything that gets someone to exercise and stick with it is probably a good thing. Those of us who value good nutrition tend to avoid processed foods in favor of those in a more “natural” state. The idea sounds reasonable. Many processed foods are unhealthy garbage. Cookies, crackers, breakfast cereal, many frozen meals and all sorts of packaged foods come with lots of calories but very little nutrition. If you look at food labels you often see a laundry list of strange-sounding substances that bear no resemblance to any sort of food we’ve ever heard of. These types of foods often go hand-in-hand with obesity and poor health. In contrast, we know that fruits, vegetables, minimally processed dairy, meat, beans and whole grains are generally healthier for us. Internet gurus and quacks such as Vani “Food Babe” Hari, Dr. Oz, and Joseph Mercola have engaged in fear-mongering and misinformation which has led to confusion among consumers. (They’ve made a lot of money doing it too.) These people have told us that we must avoid all chemicals at all cost lest we be struck dead at any moment! The horror! Here’s news for you: Everything is a chemical, including water, aka dihydrogen monoxide. Further, the central tenet of toxicology is “the dose makes the poison.” This means that a wide array of substances from alcohol to sugar to formaldehyde to chlorine to even water can become deadly at a certain dosage. Meanwhile lower dosages may pose no threat at all. With these concepts in mind, I like the article from Science Driven Nutrition titled The truth about food ingredients. It’s brief and gives a rational breakdown of why many (but perhaps not all) chemicals in our foods are safe. 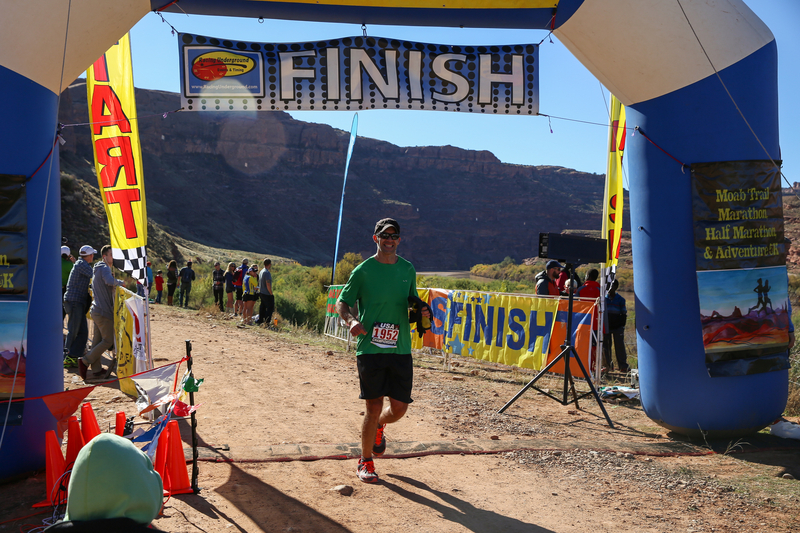 Moab Trail Marathon Part II: Done and done. All’s Well! The word “awesome” is thrown around in a casual way. You go to a restaurant and order the onion rings and the server may exclaim, “Awesome!” with genuine earnestness and enthusiasm. Now, I love onion rings but this type of thing does not actually generate anything a reasonable and honest person would call awe. 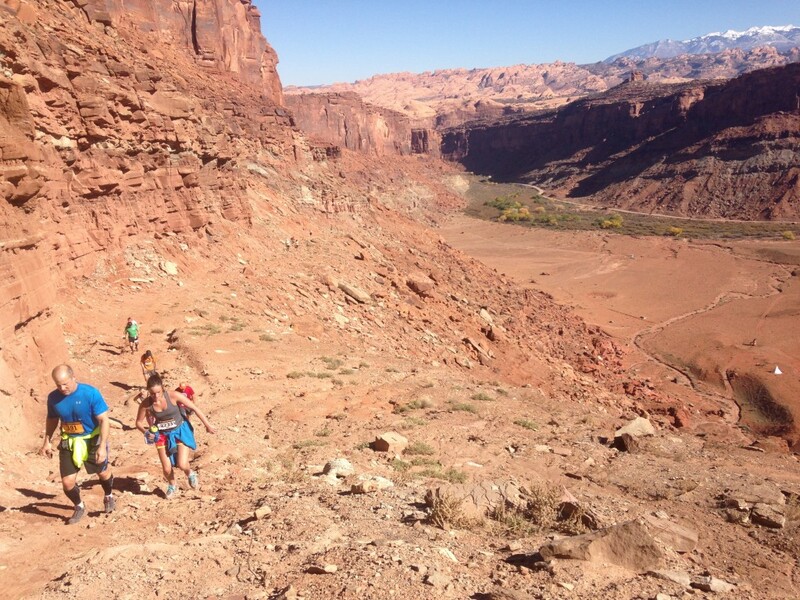 In contrast, my experience at the Moab Trail Marathon absolutely filled me with awe. Both the environment and the effort were like nothing else I’ve experienced. The language fails me and I can’t adequately describe my enthusiasm and wonder about the whole event. The Universe has a sense of humor. Athletes in all sports often have game/race-day rituals and we don’t like to stray from those patterns much at all. It’s rarely a good idea to experiment with things like pre-race breakfast or any part of race-day nutrition on race day. I brought my typical multi-grain hot cereal, nuts, fruit, butter and protein powder that I planned on cooking in the breakfast room. I would have that with two cups of coffee then about 1/2 hr before the race I would down three scoops of UCAN with coconut milk. Too bad the electricity went out in Moab at 4:30 AM. So I was up extra early. (My wave started at about 8:20 AM.) There was nothing hot to eat or drink at all. I couldn’t go hungry so I downed all the cereal makings except the cereal itself. (Wasn’t sure what uncooked multi-grain cereal would do to the GI tract.) I couldn’t buy an energy drink or coffee in any stores because they were darkened and the cash registers didn’t work. This story doesn’t get a lot more interesting. Panic and anger wasn’t going to help. This episode was a minor hiccup. I was fed and adequately caffeinated by race time and I felt rested. A lesson has been learned: Bring an alternative breakfast and an energy drink next time. Two sections of the race stood out. Well, let’s be clear. Every inch of the whole race was dramatic in an operatic kind of way. It was all soaring and full of perfect, humbling, breathtaking solitude. (Do you get what I’m saying? There was a lot of cool stuff to look at.) My thoughts return to two sections: one beautiful and amazing, the other, nasty and maddening. The climb up the Scorched Earth Wall was the sort of thing to challenge Godzilla. If you’re a Game of Thrones fan, this bit of geography looked like the Wall if the Wall were built on a desert on Mars. This was about 1000 feet of climbing in about 1.5 miles; all of it on hostile, dry, red, broken rocks. It it started around mile 14. This leviathan towered to my right, looming like red storm clouds. At first glance it almost brought hysterical laughter. The psychological effects were semi-devistating. I’d encountered this type of thing on long bike rides in the mountains. The idea of running/walking up this incline was a cosmic joke that would cause Sisyphus to weep! The height and distance were massively intimidating. Looking up this eminence I could see tiny moving specks which turned out to be my fellow competitors moving up and up and up. I had work to do. I walked most of this thing but I ran what sections I could. Mentally I wanted to slow down and plod. I didn’t though. I marched as fast as I could and I passed maybe 5-10 people. The views from Scorched Earth Wall were splendidly desolate. This was the only place where I regretted not bringing a camera. Looking back from the trail I could see the La Sal Mountains which were powerfully enchanting as their snow-capped peaks contrasted with the red, desert-like rocks of my immediate surroundings. All of this dramatic massive scenery was tremendously humbling to my minuscule human existence. Another part of the race was far less inspiring and wonderful. It was more of a cruel and brutal joke. Whatever malevolent supernatural force had cut the power this morning had also clearly influenced the race course design. At just past mile 21 I could see the finish. It was a ways away but I could see and hear the end of the race! I had to run a stretch of trail along the Green River and I would be right in the neighborhood of the finish. Almost done! But “almost done” in a marathon can be an eternity of anguish. Once to the finish area I still had three miles to go in sort of an out-and-back lollipop loop. This was no victory lap. It was horrendously difficult. I still had a rope ascent and descent as well as tough running up and down very challenging terrain. Muscle cramps had been threatening for several miles. I felt like I could cramp to death at any moment. I truly thought at any moment I would experience a body-wide muscle seizure from my eyelids to my toenails and I’d be reduced to crawling. I was particularly fearful of cramps while doing the ropes section. This wasn’t true mountain climbing up some vertical surface but it was using a rope to climb up and down very steep inclines. At this point in the race, this was nothing to take lightly. A cramp and/or a wrong move would likely result in some serious and ugly discomfort at best. By some amazing miracle, I never was leveled by cramps and I have no idea why. I did manage to lose the trail right near the end so I was rewarded with about an extra 200 m of running, again proving that the universe is a perverse practical joker. 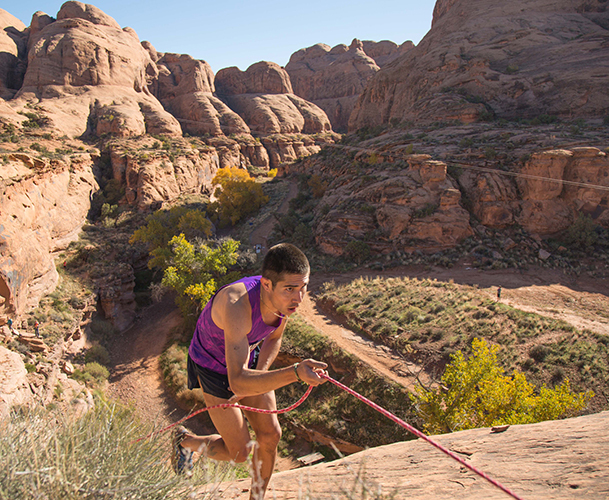 Winner Mario Mendoza navigates the rope ascent. 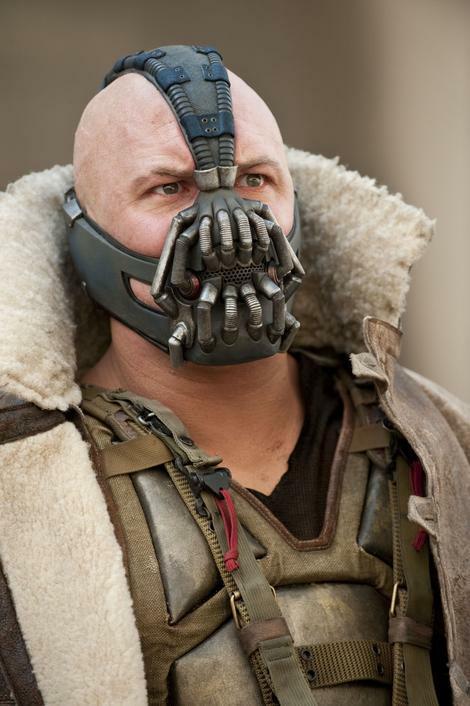 The modified Hansons Marathon Method plan worked very well for me. I felt strong and able for the vast majority of the race. The plan had me running lots of miles and many of those miles were run on tired legs. As difficult and tiring as the training was, it was exactly the preparation I needed. I also believe the weight training I did was very effective in preparing me for the run. 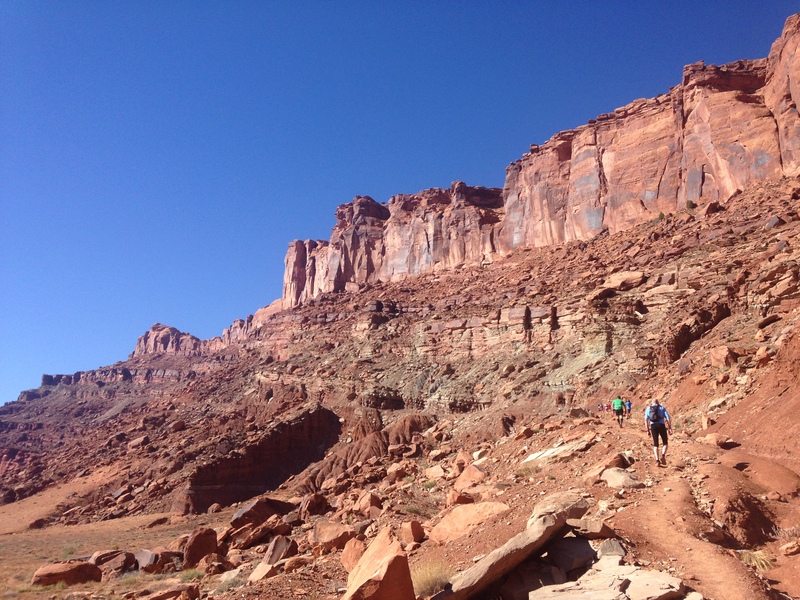 There was significant climbing in which I had to step up over and over and over…. and over. That meant my glutes, hamstrings and adductors did a lot of work. I did step-back lunges with a barbell on my back for several weeks prior to the race. This exercise did a nice job of preparing those muscles and that movement pattern for the work to come. 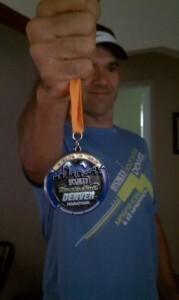 Finally, a significant point of pride for me is that I overcame several injuries and aches and pains prior to this race. My ACL was rock solid and I had no knee pain. My perpetual Achilles/heel issue were no where to be found. I vanquished these foul foes to past it seems. I will give much thanks to Denver-area chiropractor Nick Studholme and Boulder-area movement coach Mike Terborg. They were absolutely critical to my completing the race. It’s also nice to have a wife that encouraged/tolerated all my training. I have some very definite ideas on how to better train for this race next time. As I just said, the step-up/lunge movement pattern is essential for this race. I had to move this way while in a significantly fatigued state. Unfortunately, near the end of the race I felt serious cramping sneaking in, particularly in those stretched-out, stepping-up type of situations. The SAID Principle dictates that I train along the lines of both the specific movement requirement (stepping up repeatedly at varying angles while in a fatigued state) and energy system requirement (highly exerted and fatigued.) My idea is to complete a long run and then do a high volume of step-ups (either at the gym on a plyo box or a picnic table near the trail), weighted step-back lunges, and various 3D lunges both up on to and down from various boxes. 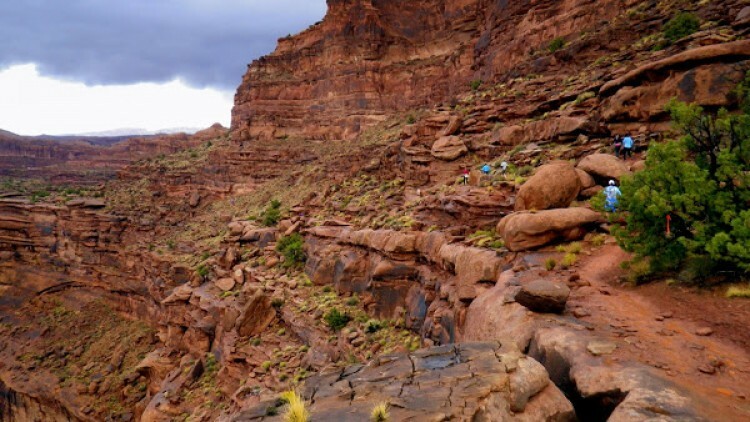 I’ll also do some jumping down in this fatigued state as the run frequently required me to jump down from rocks of various heights and land in control. The post wouldn’t be complete without a little blatant display of my abilities. Full results are here. I found my wife and a couple of friends right at the finish line. I plopped down and very quickly my thoughts coalesced into along the lines of, “I don’t want to train for another marathon for a while. Maybe never.” I was cooked. Spent. Demolished. Wiped out. Eviscerated. I was real damn tired too. I was looking forward to some serious eating and drinking, a soak in the hot tub and NOT running for a little while. This was a grueling experience. The race was just the capstone of the process too. Training for this thing took a lot of time and involved frequent strenuous effort. Weekends were dedicated to long runs and resting. I spent a lot of weekdays in a semi-stupor. By the finish I was fairly certain that it would be a while until I ran another such race. Not for nothing, I’m also one of those runners who develops blisters under his toenails. Several. You do the math. I just started the new year with a run in the cold with my dog. It was a good run and I can report that I’ve tuned into something(s) important. I was aware of several gait-related details that I adjusted and played with, those being cadence, foot placement and the degree to which I lean while running. Why was any of this on my mind? First, upon reading the excellent Anatomy for Runners I’ve become more aware of my running cadence aka how often my feet hit the ground. The author Jay Dicharry discusses a popular notion that the ideal cadence is about 170-180 RPM. I’ve run with a metronome a few times to investigate this idea and compare this range to my normal cadence. Turns out my cadence was quite a bit slower. The problem I found when running at this higher cadence is that my cardiovascular system felt overwhelmed! Maintaining even the low end of that cadence was very challenging. Seems that I may have found a simple solution. Before I get to that, let’s discuss why a quick cadence may be beneficial. “Then why is everyone in a rage over increasing stride rate? Because as I’ve pointed out before, most recreational runners simply overstride, which artificially creates a very low stride rate. Why? Because the foot lands so far out in front of the Center of Mass that it takes a while for your body to be over it and ready to push off. So, when some running form coach says to increase stride rate to X, what ends up happening is the runner is trying so hard to increase stride rate, he chops his stride a bunch by putting his foot down earlier and landing closer to his center of mass, thus decreasing the overstriding. Nothing particularly wrong with that. I’m obviously on the lookout for gait and running mechanics information. I recently discovered a very good site called Kinetic Revolution. There’s all sorts of very useful science-based information there for runners and triathletes. Among all this wealth of good stuff, I came across the post titled Essentials of Running Mechanics. That post features a video from a South African running coach named Bobby McGee. (Insert whatever obvious Janis Joplin joke you’d like.) Leaning forward is the first thing McGee discusses. Through leaning we can go faster or slower: more forward = faster, more upright = slower. Remember earlier I mentioned that this faster cadence was overwhelming my heart and lungs? At the 1:34 minute of the video McGee discusses this issue. He says to simply get a bit more upright (don’t lean so far forward) to slow down and control the cardiovascular exertion. I tried it today and it worked perfectly! I was able to a) maintain proper foot placement under my center of mass by b) speeding up my cadence and c) adjusting my lean so that I was more upright. The overall result is that I maintained a quick pace and felt good doing it. I felt my glutes working well. Foot placement felt ideal. All-and-all I was very pleased with what this small adjustment did for me. Proof that I helped tie up Denver traffic on Saturday. 9:02/mile. (For the record, I beat Paul Ryan’s official marathon time by 4 minutes, 10 seconds. However, in his imagination, he definitely beat me.) This race was a culmination of about 10 years of my overcoming various aches and pains brought on not by running, but by moving–walking, running, standing, lifting, anything else that counts as moving–incorrectly. I’ve overcome these issues and the marathon was a victory lap. It was definitely a fun experience but it was very tough and fairly uncomfortable. I was very sore and way beyond fatigued by the end of the race. I’m sore in some unexpected ways. My feet were very beat up it as you might expect. My thighs and hamstrings were plenty sore too which is no surprise. It’s Tuesday and I’m feeling decent now. Interestingly, my lateral abdominal muscles are quite sore. I’m fairly certain it’s my external obliques that are sore and this is actually a good thing. It means that I was using them correctly. Part of my pain problems were rooted in incorrect use of my external obliques. Now I know they were put to very good and thorough use yesterday. (For more info on the role of the role of these muscles in running, check out this three-part video series of from the Gait Guys: part 1, part 2, part 3. I’ve been using elements of these videos with some of my clients to very good effect.) I’ll refer back to my run technique in a moment. Things got tough at mile 18/19. I was about hip deep in the suffering by then. That’s where my pace slowed and I knew hitting my goal time would be very difficult if not impossible. My legs were hurting. The crowds had thinned out a good bit by then and what I knew would be a long lonely stretch lay ahead. That I had about 10 miles to go wasn’t the most joyous thought I’d ever had. I was functioning though and there was no sign of anything like an injury. I’d planned to run with a pace group. There were several pace groups dispersed throughout the event. My goal time was 3:45 and there was a 3:45 pace group. I got to the race very early but I was late getting to my corral. Thus I couldn’t find the 3:45 group. My fault entirely but it wasn’t a disaster, just a bit of a bummer. Got kind of lonely out there, especially at the later miles. Suffering with others is better than suffering alone. Being that I missed my goal time, I can’t help but wonder how my race would’ve gone had I gotten in with the group…. Not much slowed me down but one thing definitely took a little momentum away. I’ve had a little trouble with blisters on my toes mostly on my right foot, only once on my left. Because of this I often tape several of my toes. My mistake was that I taped some of my toes on the left but not all. Not long into the race I felt friction against my left pinky toe. I knew this would probably turn into a sizeable problem well before the race was over. The only solution was to stop, sit down, take off my socks (compression socks which are long and fit tightly thus they’re sort of hard to get back on), remove the tape, get everything back on and resume running. That took a few minutes. I took one bathroom break but other than those stops I kept running. Brutal is the word I’d use to describe miles 22 through 26.2. There were several short/steep hills on what was a steady false-flat that led back into downtown. (In fact, I’m convinced that during this marathon, the very laws that govern the universe were broken. We started and finished in the same location yet 99/100s of the whole course was uphill. I believe the course was designed by MC Escher.) Four miles to go was A LONG way to go. The idea of stopping to walk just a little was very tantalizing. I knew if I started walking I might not start back running. It was also fairly warm–not hot–but warm enough to add real difficulty to the whole process. Somewhere around mile 21 I felt a potential hamstring cramp in my right leg. I wasn’t sure if it was an electrolyte issue but I didn’t really think so. I’d taken some salt pills before and during the race and I was consuming fuel containing electrolytes as well. The cramp didn’t really come on until I was crossing Speer Blvd right at about mile 25. I felt that right hamstring start to ball up underneath my right glute. I thought I was done! I thought I was going to have to walk the last mile and I finish well over the four-hour mark. This was about to be a minor disaster. I was fine though. Why? Earlier I mentioned my glutes, external obliques, and my running technique. I went right back to the running method described in those Gait Guys videos. I focused on lengthening through the hip into the ground and letting the right hip drop away from the right bottom rib as my right foot struck the ground. I did this for a few strides and the cramp simply vanished. Technique! Technique! Technique! It’s all about proper movement and proper positioning! This is the undisputed key to getting out of pain and performing your best. I intend to run more marathons. I’m not sure which one(s) or where. I want to get faster. Run Less, Run Faster tells me that since I finished slower than my 5k time predicted I need to work on my endurance. I definitely want to run with a pace group next time. (God that was dumb of me to miss the group…) My shoes (Nike Free 3.0) and nutrition seem solid. My next race (probably) is the Run the Rocks 5k in October. Then I’m only doing random, unstructured runs for a while. I’ll run with my dog then some time this winter I’m going to do one or two track/sprint workouts per week with random longer runs whenever I feel like it. I’m looking forward to getting into the weight room and working on my clean and press, squat, and deadlift. For now though I’m very content to not run for a few days. Because the feet are so intricate and so extremely important to every single thing we do all the time, I want to present some relevant information on how to fix some potential problems many people may have. So here are some videos from some experts in the field of movement impairment and movement improvement: Dr. Kelly Starrett at MobilityWOD.com and Drs. Shawn Allen and Ivo Waerlop aka the Gait Guys. I’ve found these instructionals to be extremely valuable. If you’re having Achilles issues, plantar fasciitis, knee pain, hip pain–who-knows-what-kind of pain then this information may be very helpful. I’m behind on posting and I’m trying to catch up. There’s been a lot of interesting information to read in various publications. If you’re a runner (and probably any other sort of endurance athlete) you definitely need to see some of this. If you’re listening to government guidelines on saturated fat, then definitely look at the last article. … In 2009, a small study done at England’s Exeter University caught the attention of the fitness world. Researchers discovered that competitive cyclists who drank half a liter (about 16 ounces) of beet juice right before they got on their bikes were able to ride 16 percent longer—a massive gain in a sport where only a few percentage points of improvement can be the difference between first place and fifteenth. It works like this: Our bodies convert nitrates into nitric oxide, a gas that causes blood vessels to relax and widen, by a process known as vasodilation. 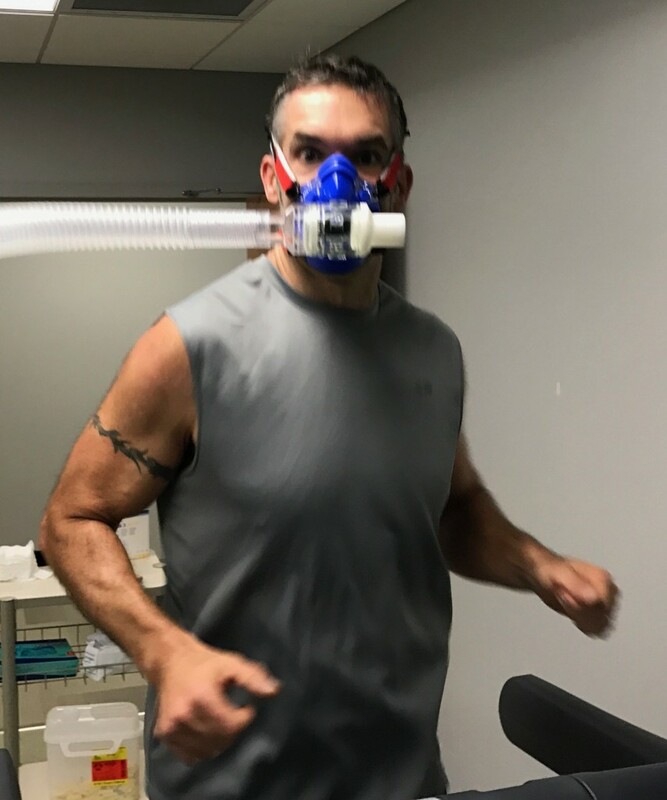 This allows more oxygen-rich blood to flow through the body—and the more oxygen reaches the muscles, the longer they’re able to perform at high intensity. 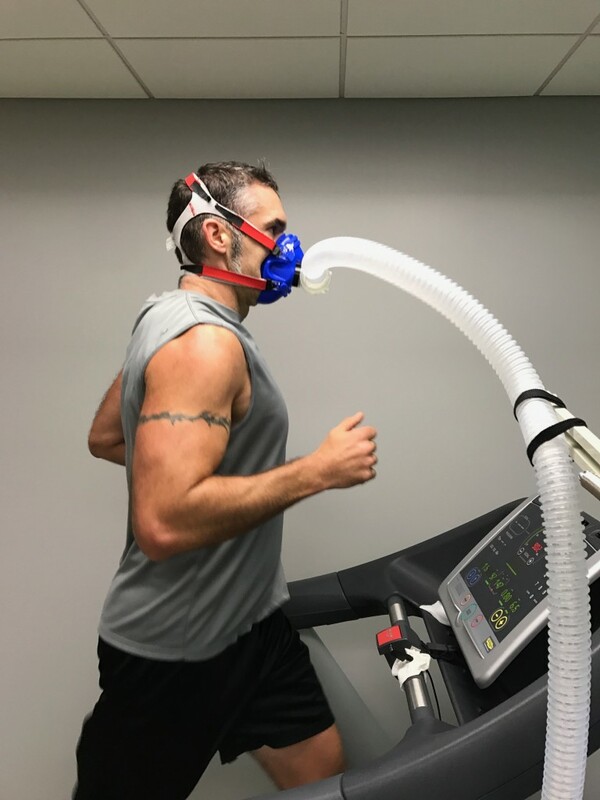 Athletes have tried to trigger vasodilation with various banned substances, including hypertension drugs and erectile-dysfunction medication, for years. It now appears that simply consuming large amounts of vegetables that are high in nitrates, such as spinach, carrots, radishes, and beets—the last of which pack the biggest punch, a whopping 310 grams per 16 ounces of juice—can offer the same performance boost. The article also discusses beta-alanine supplementation. I haven’t used beta-alanine but recently I have been playing around with eating and juicing beets. (I don’t juice a whole beet. I combine about ¼ beet with other fruits and vegetables.) I pretty much will never say that one thing causes one other thing, but since I’ve been consuming more beets, my workouts have felt really good. Also, getting up early has been easier. Again, I can’t say this is the only factor but I see no reason not to continue gobbling a few beets through the week. One odd thing about beets is that they color some of your bodily excretions, meaning you may see a red tint in the toilet soon after eating or drinking beet juice. It was kind of alarming the first time I noticed it. Turns out it’s normal. Despite this weird side effect, I’m giving beets a thumbs-up. Other articles have discussed the idea that human evolution and distance running are intimately intertwined. A recent article from Slate Magazine suggests the same thing. If nothing else, All men can’t jump: Why nearly every sport except long-distance running is fundamentally absurd sounds like fun reading. From our Achilles tendons, to our teeth, brains, our ability to dissipate heat , gait mechanics, and even the “runner’s high,” the article suggests that we are uniquely and powerfully suited to “persistence hunting,” that is chasing down prey until it’s tired. I think it’s an interesting theory, though I wonder if some day scientists will ruminate over the connection between our thumbs, evolution, and video games or text messaging. The article covers some interesting information including how hunter/gatherers run a lot during a hunt but don’t drink until they’ve caught their prey, the history and marketing of sports drinks, and why a bit of dehydration is nothing to fear. Well, the sports drink industry was involved. In 1969 a great American physiologist, David Costill, started new studies. Gatorade was just getting into the market, and he went to them and said, Listen, you produce this product, do you know if it works? Is it of any value? He said, I’ll do the studies and let’s see if it works. His focus was to try and raise money to fund his laboratory. He did the first study where he had people like Amby Burfoot—who writes the foreword for the book and won the 1968 Boston Marathon—not drinking anything. Costill had them run when they drank up to 1.2 liters per hour on the treadmill, and [then run] when they didn’t drink. When they did drink, he showed their body temperatures were much lower and he presumed that was better. But if you ask Amby Burfoot, he said he felt much better when he ran without drinking. Costill assumed then that drinking was good for you, although the study hadn’t really shown that because it wasn’t a performance trial, and all the runners found when they didn’t drink was that there were no problems associated with not drinking. The American College of Sports Medicine asked David Costill to write the first drinking guidelines, which he did in 1975. He said that runners should drink regularly during exercise, which is pretty good advice. The essential information first and foremost 1) let thirst be your guide, 2) over drinking is bad, and 3) anything short of severe dehydration won’t kill you. Finally, I’ve mentioned before that perhaps we shouldn’t be as afraid of fat–particularly saturated fat–to the degree that we’ve been told. We’ve got a little more evidence in that direction. Saturated fat and cardiovascular disease: the discrepancy between the scientific literature and dietary advice is a recent study from the Netherlands. Researchers evaluated three reports from leading U.S. and European dietary advisory committees with results of studies on dietary fat and cardiovascular disease as they were presented in the referenced articles. (These committees are the sort that tell us to eat less fat for fear of contracting such ailments as heart disease.) The findings indicate that the advice given by the committees doesn’t reflect the evidence. The concluding statement of the abstract of the study says, “Results and conclusions about saturated fat intake in relation to cardiovascular disease, from leading advisory committees, do not reflect the available scientific literature.” So again, perhaps we should reconsider our view of nasty old saturated fat. To this point we’ve looked a couple of aspects of the human foot and running. In Part I we looked at research showing the unshod or minimally shod foot worked quite well at running for the vast majority of human history. In Part II we looked at the following: 1) research linking knee osteoarthritis to high loading forces on the knees, 2) higher loading forces were associated with stability shoes, and 3) lower loading forces were associated with shoes such as flip-flops that allow a more natural foot movement. Thus we can conclude that in order to avoid ailments such as knee osteoarthritis (and I might guess the same for hip, ankle, and low back arthritis) we should do whatever we can to allow our feet to move unencumbered. [Researchers] concluded that running shoes exerted more stress on these joints compared to running barefoot or walking in high-heeled shoes. With the recent running of the New York City Marathon, some information on distance running seems appropriate. The Human Body is Built for Distance is a recent story in the New York Times Health section. Part of the discussion includes the theory that humans are unique among animals in our distance-running abilities. It seems that we might indeed be the fastest of earth’s land-based creatures over the long haul. Some of our advantages include our foot structure, spring-like connective tissue, our cooling system, our glycogen storage capacity, and even our sense of balance. Of further interest is the discussion on running injuries and footwear. Christopher McDougal author of Born to Run suggests in the article that many of our ancestors as well as some of our less-advanced contemporaries ran and do run many more miles with far fewer injuries than we do with our fancy modern running shoes. The idea that primitive running is better running has been suggested here, and here. It’s also the driving idea behind shoes such as the Nike Free and Vibram Five-Fingers. About 90 percent of runners training for a marathon experience injury according to statistics in the article. Sort of makes sense right? How long have modern running shoes been around? Nike started business in the late 1970s. Meanwhile, humans were running around a lot longer than that, their feet shod in some very minimal items. So what’s going on here? 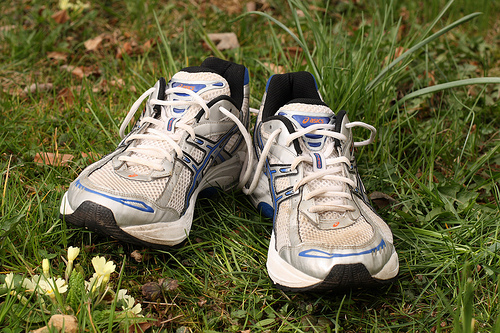 As our running shoes evolve are the wearers actually devolving? I know enough to know that I definitely don’t know the answer to this question. I’ve gone back and forth on the issue and I’ve moved from running in Nike Frees to running in Nike Frees with Sole Supports in them. Isn’t that odd? From what I’ve read and experienced though, the issue of high-tech running shoes vs. low-tech running shoes vs. barefoot running is an extremely personal matter. What works miracles for one running may wreck havoc on another. It can be a maddening process trying to find the ideal way to address your feet. If this topic is of any interest to you, I recommend strongly that you read the Science of Sport’s series on running. It’s remarkably in-depth in its analysis of shoes, feet, and running technique.